Robert Parry says in his latest piece that while the Democrats have been “a reluctant war party” since 1968, by nominating Hillary Clinton, they have once again become an “aggressive war party”. Noam Chomsky notes that indeed, Hillary Clinton would be more “adventurous”, ie aggressive, than Trump or Sanders in terms of foreign policy, but he and other analysts, like John Pilger, disagree with Parry that the Democrats were, during the period Parry suggests, and perhaps any other, what a rational person would call “reluctant” to kill. Looking back briefly at a couple of examples of Democratic initiatives, as well as who formed the Democratic party, we see that when it comes to butchering people, the Democrats have never been shy. Kennedy began the US genocide against the people of Vietnam, demanding bombings and attacks with chemical weapons like napalm, and began a terrorist campaign against Cuba that continues to date. Johnson, who viewed the Vietnamese people as “barbaric yellow dwarves”, continued the genocide in Vietnam and Indochina. Carter supported numerous genocides and terrorist campaigns. Bill Clinton, among many horrific acts, committed a major genocide against the people of Iraq, and helped lay the foundation for today’s nuclear war tension by expanding NATO to Russia’s borders. 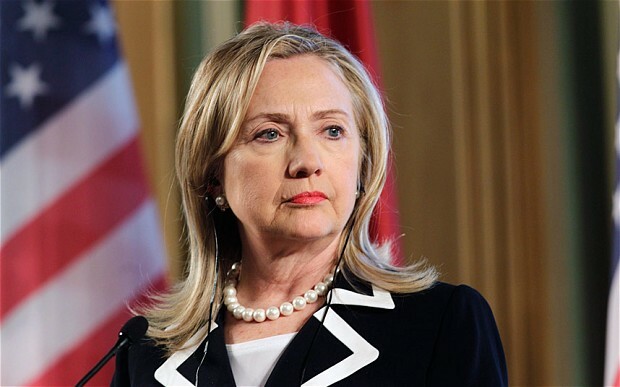 One of Hillary Clinton’s many crimes was to continue this expansion by supporting a US-backed, neo-Nazi and neo-con integrated coup in Ukraine while referring to the president of Russia as “Hitler” – by far the most aggressive stance towards Russia of any US candidate. See Pilger’s article for some of Obama’s crimes, which in several ways are uniquely extreme. Truman defied his military advisers and many others and carried out mass nuclear executions of civilians as a way to influence the government of Japan (and likely the Soviet Union), then followed his nuclear attacks by further targeting Japanese civilians with the biggest TNT-based mass-execution of civilians in human history up to that point. Executing civilians was a prominent part of his ‘Democratic’ philosophy. He publicly stated that “the German people are beginning to atone for the crimes of the gangsters whom they placed in power and whom they wholeheartedly approved and obediently followed.” His logic, an example of the standard definition of “terrorism”, would suggest that Israelis, who support almost entirely their state’s illegal annexation and massacres of Palestine, should be targeted and killed until they “atone” for what their government is doing, and that US civilians who supported the sanctions against or invasion of Iraq (etc.) should likewise be punished until they “atone”. This is also the principle behind the 9/11 attacks, though US citizens who support terrorism committed by their own state are quick to engage in the “wrong agent” – genetic– fallacy when this is pointed out. Backing up again, we see that in fact the Democratic party was founded by supporters of the sadistic genocidaire Andrew Jackson, who enjoyed making clothing from the skin of people who were exterminated in service of expanding the un-free world. Are Republicans therefore a superior ogranization? Of course not. The two parties check and balance each other to maintain and expand the world’s leading terrorist state. As we can see, it is nothing new or different for the Democrats to be a party of expansionist gangsters. What is remarkable of Clinton, then, is that even against this gory and tyrannical backdrop, she stands out as especially evil, corrupt, and extremist in her US religio-national supremacism. As Professor Johan Galtung notes, two countries today (and occasionally their proxies) continue to wage aggressive war, thanks to their belief that they have been anointed by their gods: the US and Israel. And Hillary Clinton is as fundamentalist as they come. Robert Barsocchini is an internationally published author who focuses on force dynamics, national and global, and also writes professionally for the film industry. Updates on Twitter. Author’s pamphlet ‘The Agility of Tyranny: Historical Roots of Black Lives Matter’.